Brad Richards will miss tonight's game, but it's hard to tell how many more he could miss. 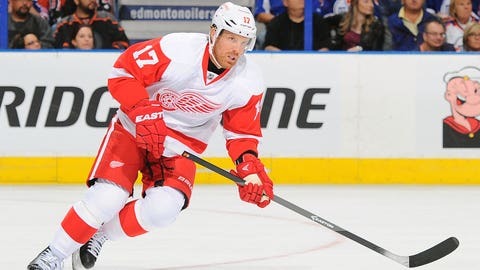 Brad Richards, one of the guys the Detroit Red Wings signed to boost their center depth, won't participate in Friday night's game against the Calgary Flames. Richards has been dealing with a back injury, according to MLive's Ansar Khan. Red Wings coach Jeff Blashill had stated that Richards injury is just a day-to-day injury, but, according to Helene St. James of the Detroit Free Press, general manager Ken Holland stated that the injury is “longer than day-to-day” and that Richards would return home to Detroit for further testing. Richards has two assists in six games this season. The 35-year-old forward signed a one-year, $3 million contract with Detroit this offseason.